Congratulations, you're on your way to becoming a homeowner! 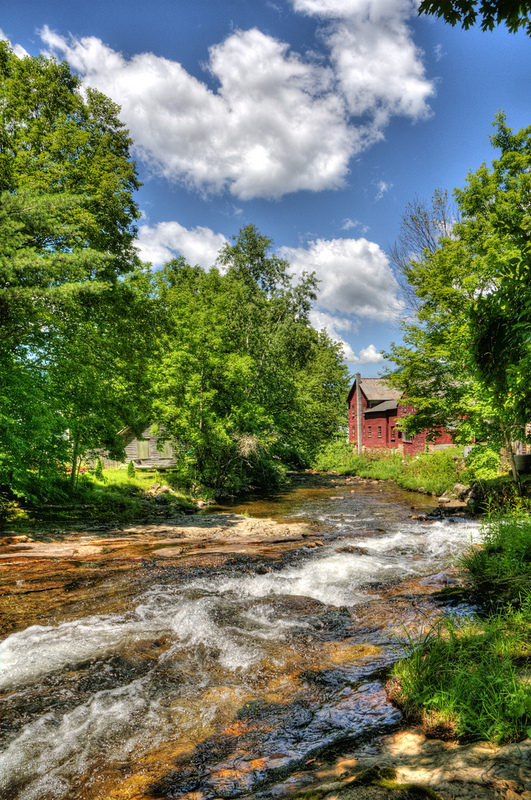 We love Southern Vermont and are excited you've chosen to make it your home. Because the home buying process can be especially stressful for first time homebuyers, we've compiled some tips and helpful resources below. Feel free to contact us with any questions you may have about buying a home in Vermont, or to inquire about our buyer services. Search the MLS (multiple listing service - the database that houses all of the listing information for Vermont properties). Find community information, such as demographics, market statistics, points of interest and weather. For Manchester Vermont area information specifically, click here. Calculate your mortgage here, to determine how much you can afford to spend on your first house. Deciding When and What to Buy - understand when is the right time to buy, what you can afford, and work with a real estate agent to find the right lender for you. For many, renting seems like the more affordable option, or even a necessity, when compared to buying; however, you lose the opportunity to gain equity. When you rent, that money is gone forever (to your landlord). When you own your home, you can deduct the cost of your mortgage loan interest from your federal income taxes, and usually from your state taxes. This contributes to significant savings each year, because the interest you pay typically constitutes the majority of your monthly payment for most of your total mortgage (until later years, when you've paid down enough of your principal balance). You can also deduct the property taxes you pay as a homeowner. In addition, the value of your home may go up over the years, which is know as home appreciation. The main thing to consider when calculating what you can afford to buy is other expenses beyond the home itself - these include property insurance, taxes, homeowners association dues (if applicable), maintenance, and (potentially) higher electric and water bills. Determining the Right Real Estate Broker for You - working with a real estate professional who shares your values will take the anxiety out of your first home buying experience and ensure you avoid common (and often costly) mistakes. As the U.S. Department of Housing and Urban Development (HUD) explains, "A good real estate professional can guide you through the entire [home buying] process and make the experience much easier. A real estate broker will be well-acquainted with all the important things you'll want to know about a neighborhood you may be considering...the quality of schools, the number of children in the area, the safety of the neighborhood, traffic volume, and more. He or she will help you figure the price range you can afford and search the...multiple listing services for homes you'll want to see. With immediate access to homes as soon as they're put on the market, the broker can save you hours of wasted driving-around time. When it's time to make an offer on a home, the broker can point out ways to structure your deal to save you money. He or she will explain the advantages and disadvantages of different types of mortgages, guide you through the paperwork, and be there to hold your hand and answer last-minute questions when you sign the final papers at closing. And you don't have to pay the broker anything! The payment comes from the home seller - not from the buyer." Getting Preapproved First - a good real estate professional can help "pre-qualify" you for a mortgage before you start house-hunting. This process includes analyzing your income, assets and debt to estimate what you may be able to afford. Mortgage brokers, or a lender's own mortgage counselors, can also calculate the same sort of informal estimate for you; however, some charge application fees to go through the pre-qualification process and that can add up if you're speaking with multiple lenders. "Pre-approval" means that you have in hand a lender's written commitment to put together a loan for you (subject only to the particular house you want to buy passing the lender's appraisal). Check out our full list of tips on buying a home for more information on this process. For common frequently asked first time homebuyer questions, check out the HUD website. Contact us for references and to see how we can help you today!